This is a lovely novelty surprise mushroom by Christopher Nigel Lawrence. 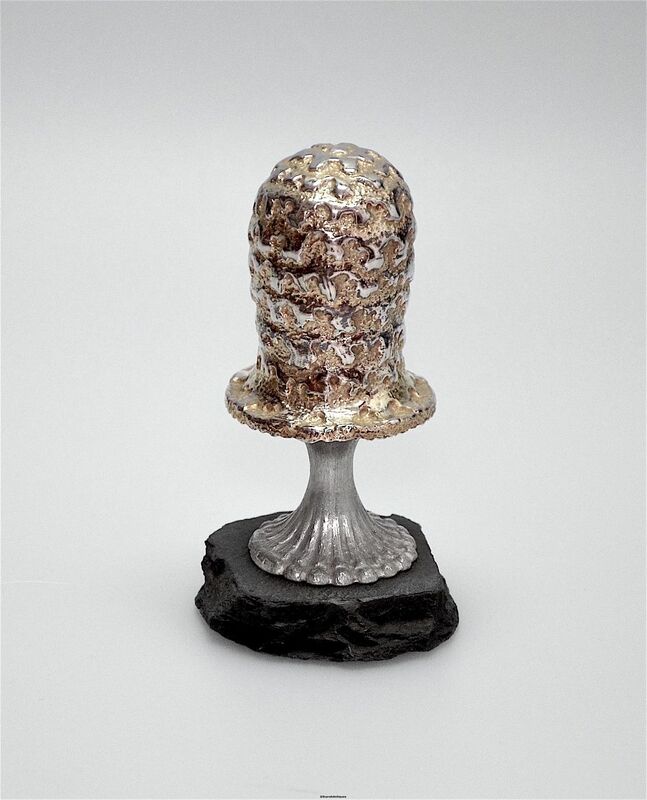 Made in 1981 the top of the mushroom is in textured gilded silver and lifts off to reveal two silver elves with gilded hats standing on tall stools. One elf is holding a gilded lid set with a flat round sodalite cabochon. 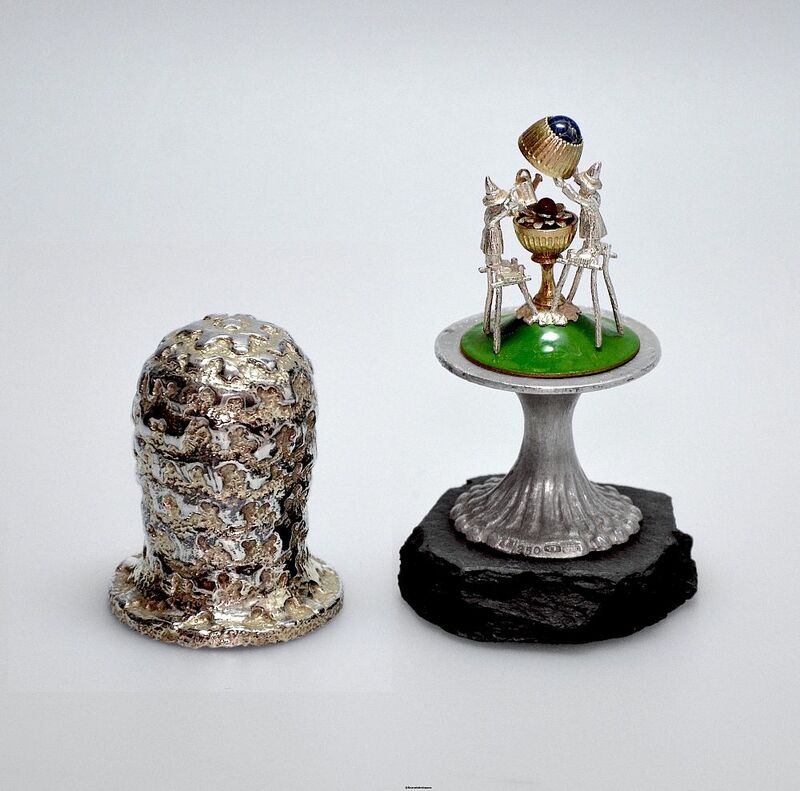 The other elf holds a silver watering can and is watering a flower that has two layers of petals one in silver and the other in gilded silver with a round carnelian bead centre. The flower sits in a gilded silver jardiniere that stands on a green enamel convex base. The slate base supports a silver broad based fluted stem, the base of which is stamped "44/250" indicating that it is no. 44 of an edition of 250 and it is hallmarked by the London Assay Office for silver & 1981 and bears the sponsor's mark "CNL" for Christopher Nigel Lawrence.